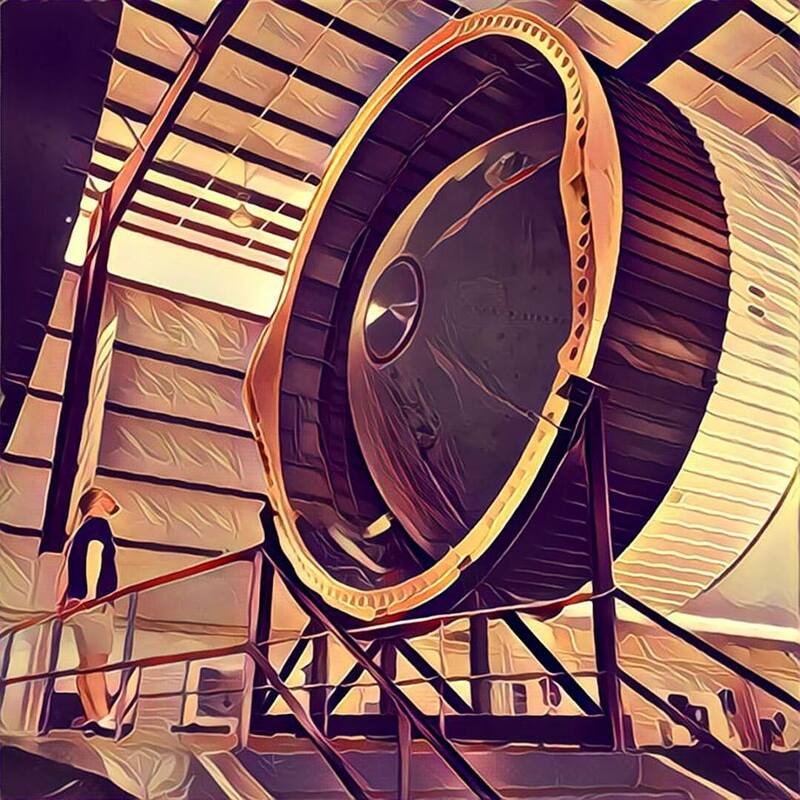 I recently treated myself to a day at Space Center Houston, the museum associated with the Johnson Space Center. While I was there, I wandered through the exhibits and took several hundred photographs. 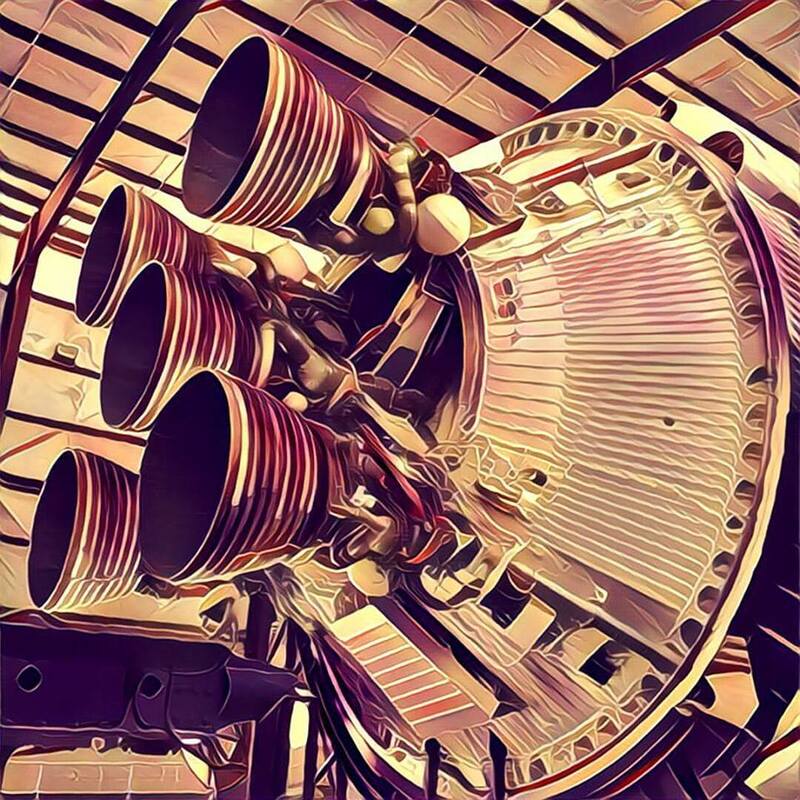 The images by themselves are fine, but I have been enamored with a new photo filtering app called Prisma (Currently only on iOS, but there is an Android Beta). 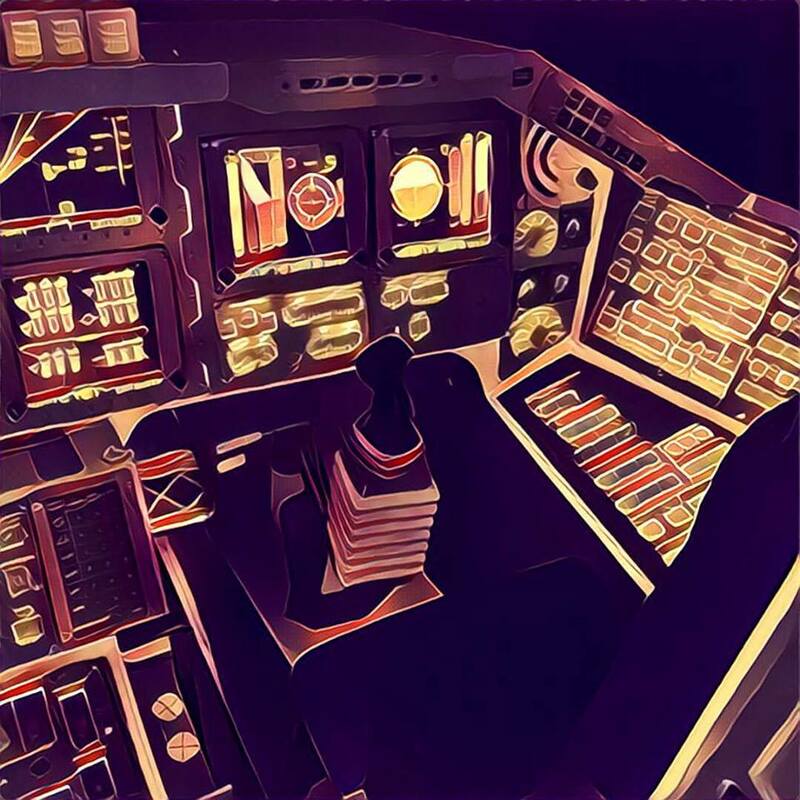 Prisma let’s me turn almost any ordinary image into a work of art. 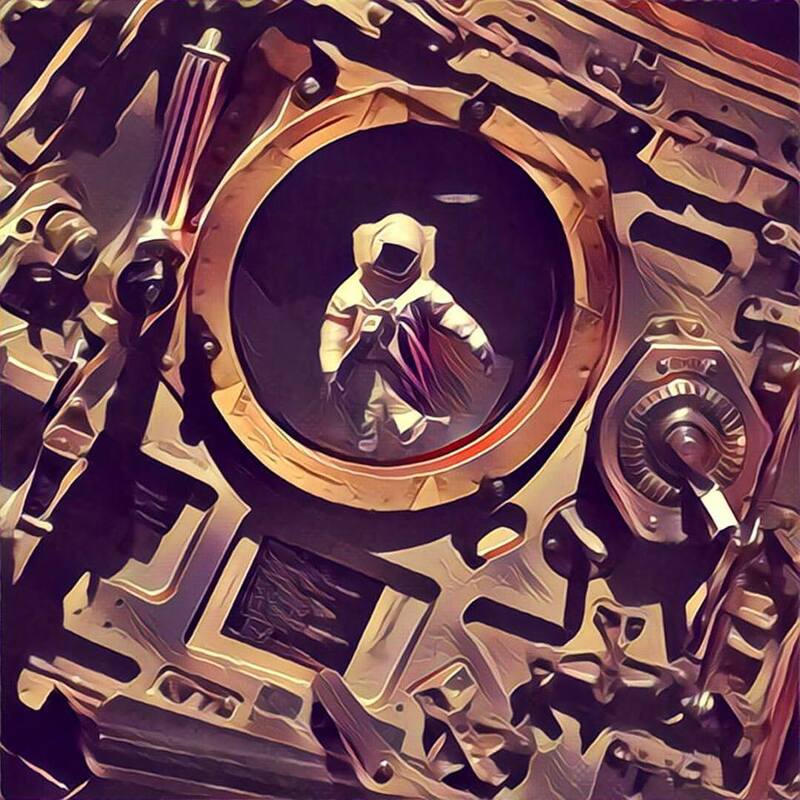 Since I consider the tech of the space administration artwork itself, I had so much fun filtering my photos into something a bit more personal. I already shared several of these with my images with friends via Instagram and Facebook, so I thought I would share some here with some thoughts about each one. 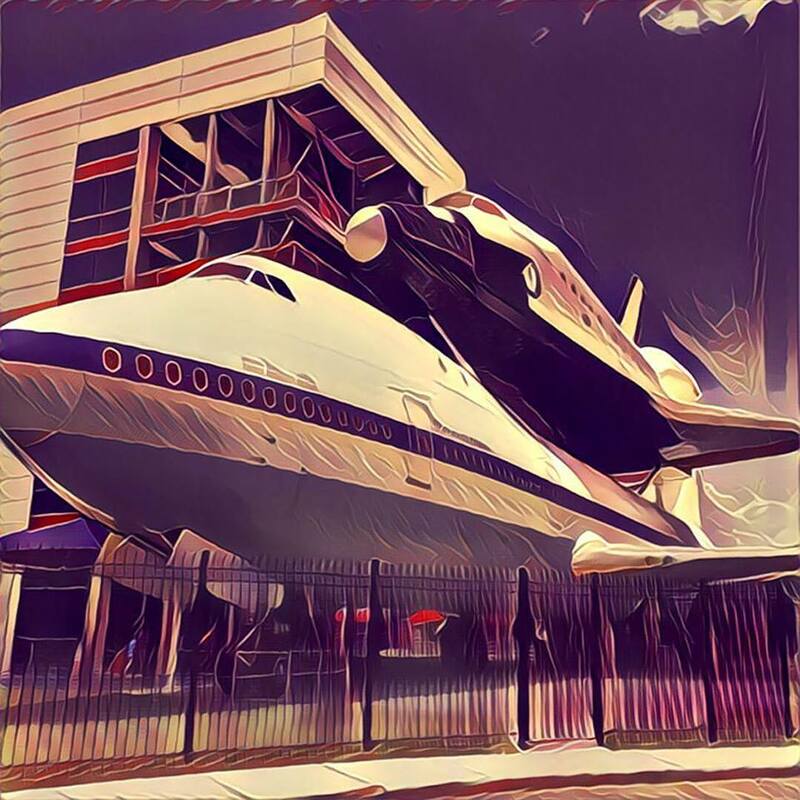 Upon arrival to Space Center Houston, the museum’s newest landmark exhibit grabs your attention before the car is even parked. I’ve visited Space Center Houston back in 2009. Last time, I was struck by a lack of something I couldn’t put my finger on. Now I know what it is; Every great museum needs something that pulls you in, right off the street. 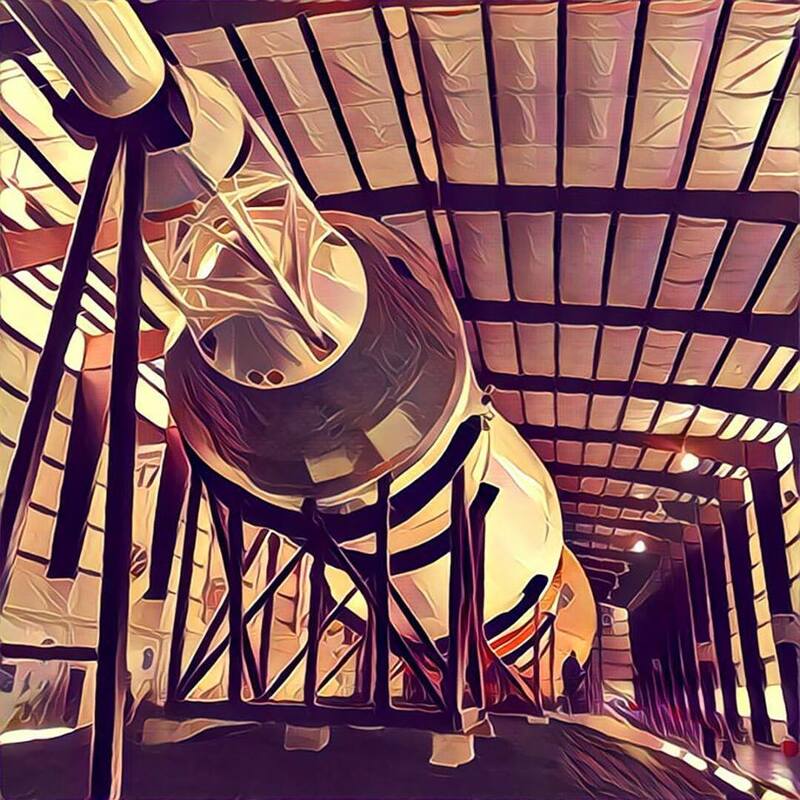 It’s easy to suggest that Huntsville’s US Space & Rocket Center’s visible display of rockets would excite any space enthusiast. I visited there in 2012 with my family and I was practically leaping from the car to get a closer look at it’s veritable orchard of standing boosters; and we were still several blocks away! In Florida, Kennedy Space Center probably has the most appealing of all the visual treats with the historical significance of Launch Pad 39a and the ever impressive Vehicle Assembly Building. However, the Launch Pad & VAB are hard to see from the museum and so the building housing the Space Shuttle Atlantis serves as a noble surrogate (One of the finest museum exhibits I’ve seen anywhere). There is also a nicer rocket park at KSC, than at JSC, but that’s understandable since that is the place they launched rockets. I had the privilege to explore with my family in 2014 and can’t wait to go back. Finally, Houston has a proud landmark visible to arriving guests and easily equals the other two museums. Independence Plaza, presented by Boeing, offers a unique experience, unlike the other’s. Visitors enter the shuttle replica Independence, mounted on top of the historic, and original, NASA 905 shuttle carrier aircraft (SCA), a converted Boeing 747. It is the world’s only shuttle mounted on an SCA and the only one allowing the public to enter both. Multiple exhibits inside each vehicle provides a rare glimpse as well as examples of innovation from the shuttle era. 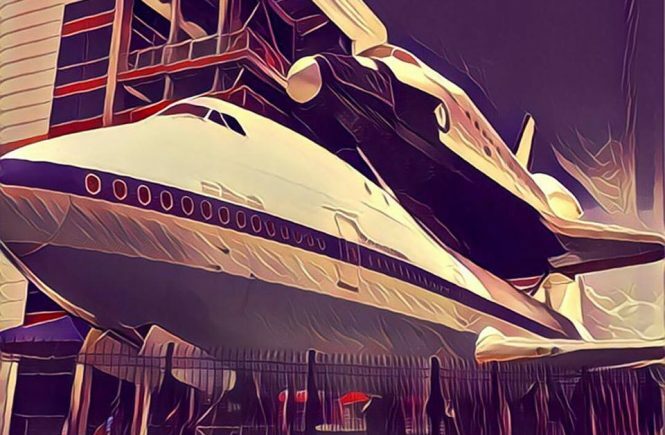 I read that the giant multi-exhibit complex is the biggest project of the nonprofit Manned Space Flight Education Foundation since it built and opened Space Center Houston in 1992. Fortunately for me, most people were inside the main building to avoid the heat and I was able to walk all around both vehicles, taking my time to snap pictures and soak it all in. Side Note: I visited Boeing’s Everett, WA factory in May (The worlds largest building by volume) and was not permitted anywhere close to an actual plane. Here, you can walk all around the Boeing 747 on display, touch it’s belly and look inside the engines. It’s a veritable commercial jet lovers playground. At the end of the arm is an exhibit for the clean “White Room” that was the last stop Astronauts would make on their way to boarding the shuttle for takeoff. It was fun to pretend that I had the Right Stuff, and slowly walk down the gangway on my way to explore science in space. Speaking of “The Right Stuff,” I’m a big fan of the often-too-cocky-for-his-own-good USAF test pilot Leroy Gordon “Gordo” Cooper, Jr.
One of the original 7 and the last of 6 mercury Astronauts to fly, Gordo is often referred to in stories from the old pilots as being one of the craziest. Nicknamed, The Oklahoma Hotdog, he was the first American to sleep in space and this was his bedroom. The actual capsule to take him up and bring him back safely. Accused of being, “too relaxed,” during training for Gemini 5, Cooper was replaced by newly reinstated Astronaut, Alan Shepard, to command Apollo 13. 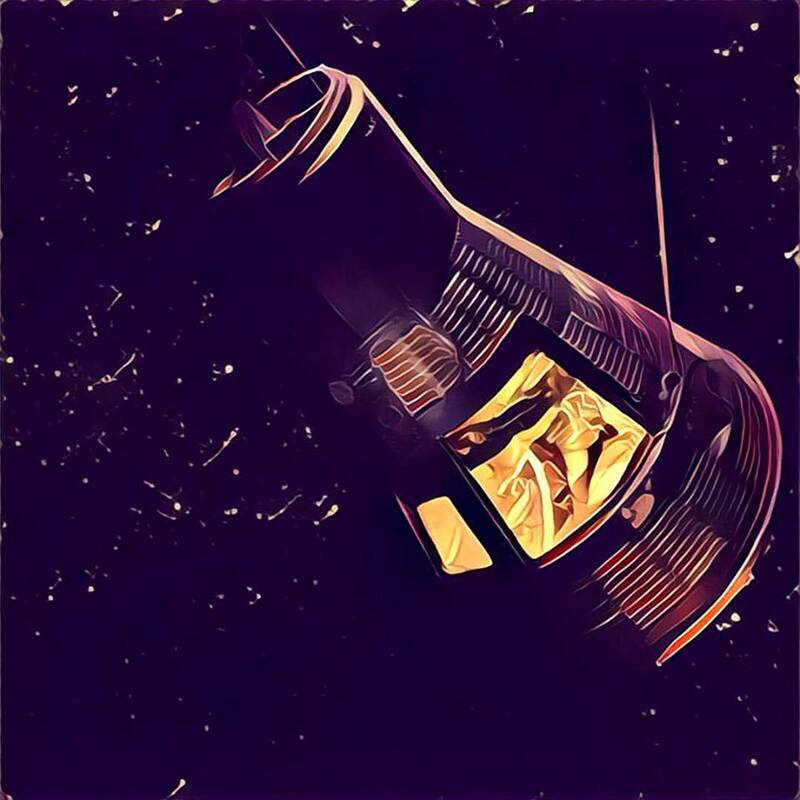 Since Shepard had no time in the simulators, his mission was swapped with Apollo 14’s crew (The one Jim Lovell commanded) and the rest was history. Had Cooper been at the top of his game for Gemini 5, he most likely would have been in command of the ill fated Apollo 13 mission. No rover ever returned from the moon. Three of them still remain in their final resting place on the moon, near their respective Lunar Module (LM) descent stage landing zones. 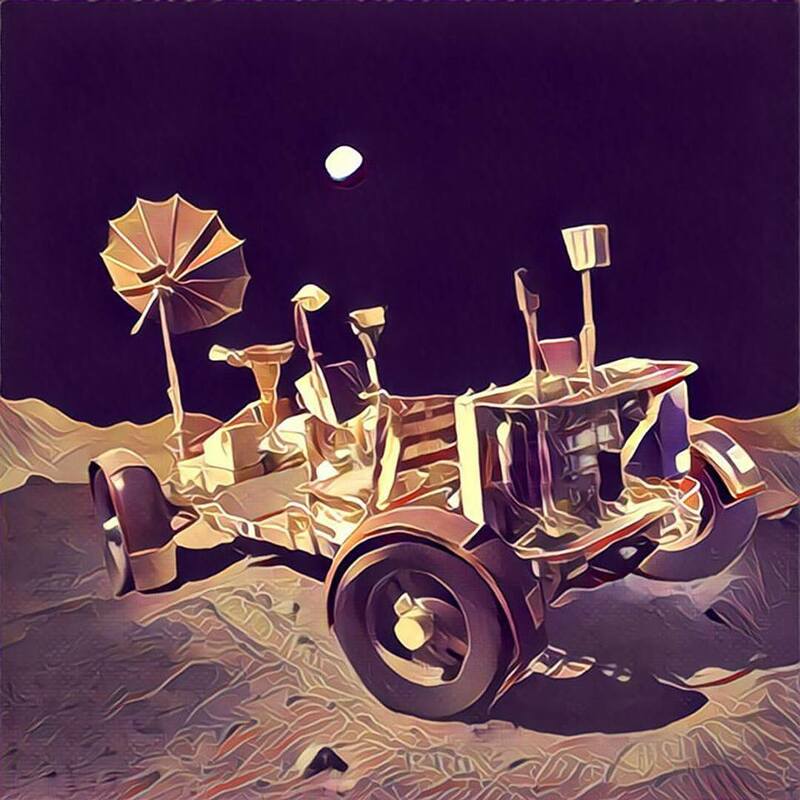 However, since the Astronauts could not practice with the actual lunar car they would have on the moon, one was made for them to practice driving on the moon in Earth’s gravity. This amazing piece of engineering lives in a lunar landscape diorama at the Center’s Starship Gallery. Astronauts Dave Scott, Jim Irwin, John Young, Charlie Duke, Gene Cernan and Harrison Schmitt all practiced on this Lunar Rover in preparation for their missions. Interesting to note, the rover has no steering wheel or brakes, since neither are needed on the airless lunar surface. It was started, steered and stopped by a single control located between the seats. Echoes of this lunar rover design can be seen in the Mars rovers such as Spirit, Opportunity and Curiosity. Not really. 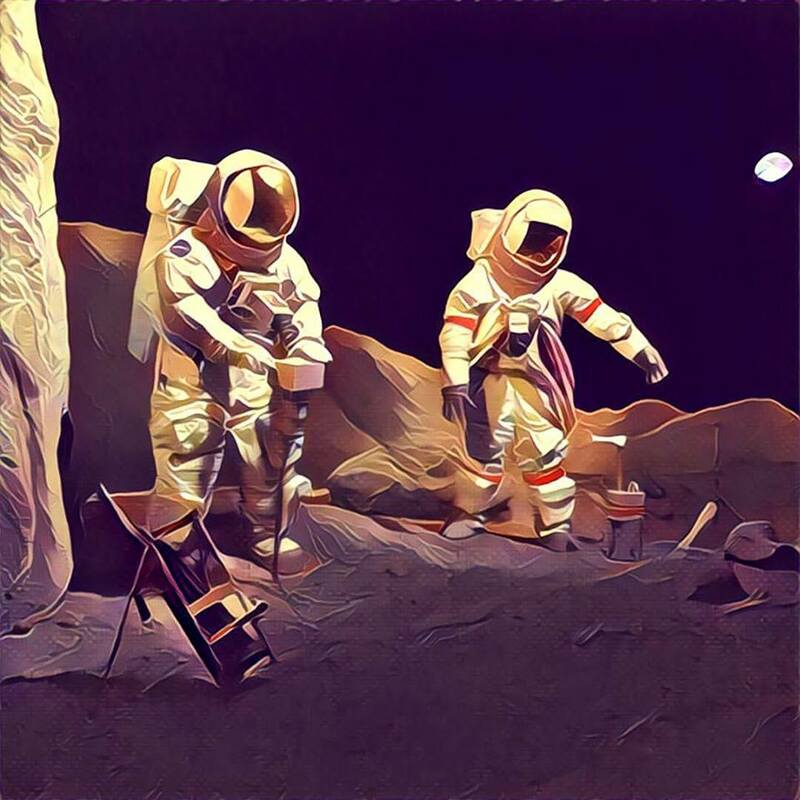 Just a representation of two Lunar Astronauts exploring the surface of the moon. The above mentioned Lunar Rover is located just to the right as seen HERE. This image was taken when I was standing next to the actual Apollo 17 Command Module (CM) that Astronauts Eugene Cernan, Ronald Evans, and (Astronaut/Geologist) Harrison Schmitt journeyed in to and from the moon. I was admiring the interior of the CM when I notice one of the Astronauts (from the image above) from the other side of the room was visible through the hatches porthole window. I had to wait several minutes to get this shot, but I am very proud of it. In the foreground is the actual hatch (door) of the Apollo 17 CM and in the background is a replica of a Lunar Astronaut. This will be one of my all-time favorite memories (and shots) from my trip. I’m a bit of a tour guide at heart, so I’m always a bit “judgy” when I take a tour anywhere. I love to teach, especially things considered cool or nostalgic. 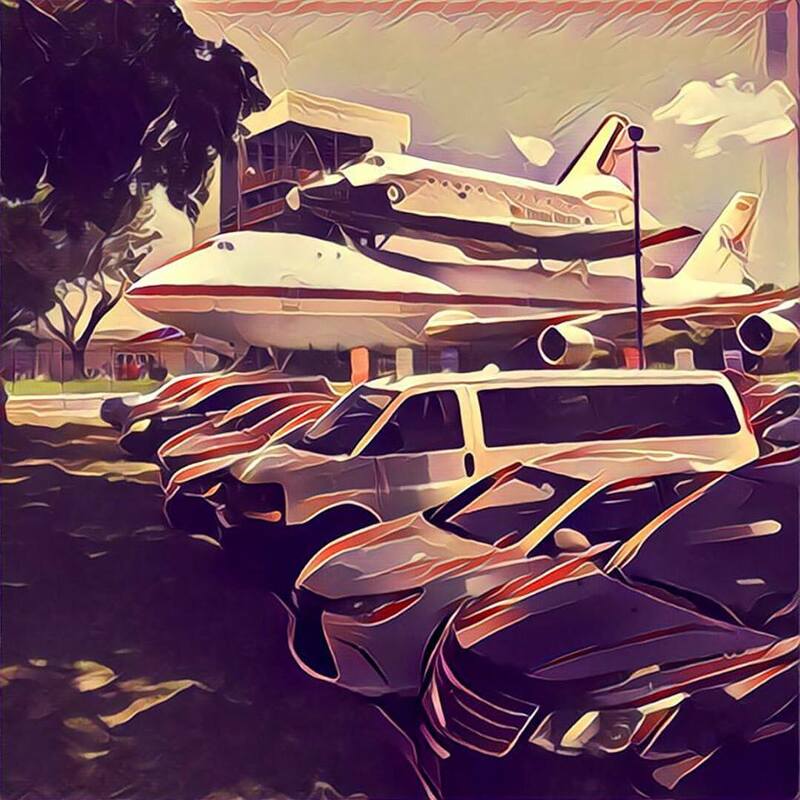 I don’t think the folks at Space Center Houston are doing a bad job, necessarily. I just think they have a lot of room for improvement in their JSC/NASA tour. She continued on her way frustrated by the response she got and the fact that her kids were urging her to hurry, as kids will do. Having been there all by myself, I decided to get a clear answer. Short story, there was no clear answer. It was like talking to a mannequin (That’s not the best analogy, but a more accurate one would be offensive). I was instructed to get in the While line, as it was the shortest. I don’t think the employee really understood what I was saying. Neither do I think he really cared. Oh well, While line it is. This turned out to be kismet. As I was just about to get in line, I spotted my friend and local Austinite, Josh Rodriguez, who writes for TexasDadBlog.com. He ran over for a quick selfie. It was his birthday and he was visiting the area with his family on their Summer vacation. 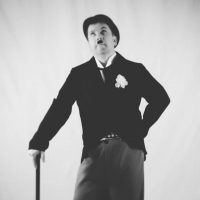 To see what he thought of the trip, check out his blog HERE (and let him know I sent you). To see the selfie he took, go HERE! One site at NASA Johnson Space Center visitors get a behind-the-scenes look at space exploration is the SAIL. Located on 1,600 acres, Johnson Space Center is the home of mission control where human space missions and the operations of the International Space Station are monitored. It is also where astronauts prepare and train for missions. My tour took me somewhere I had never been before, the Shuttle Avionics Integration Laboratory (SAIL). It was the only facility in the Space Shuttle Program where actual orbiter hardware and flight software can be integrated and tested in a simulated flight environment. The software on the Shuttle is often considered to be among the most bug-free of operational systems (Good thing, right?). The laboratory contains a complete avionics mock-up of a Shuttle, designated OV-095 (OV is short for Orbiter Vehicle). 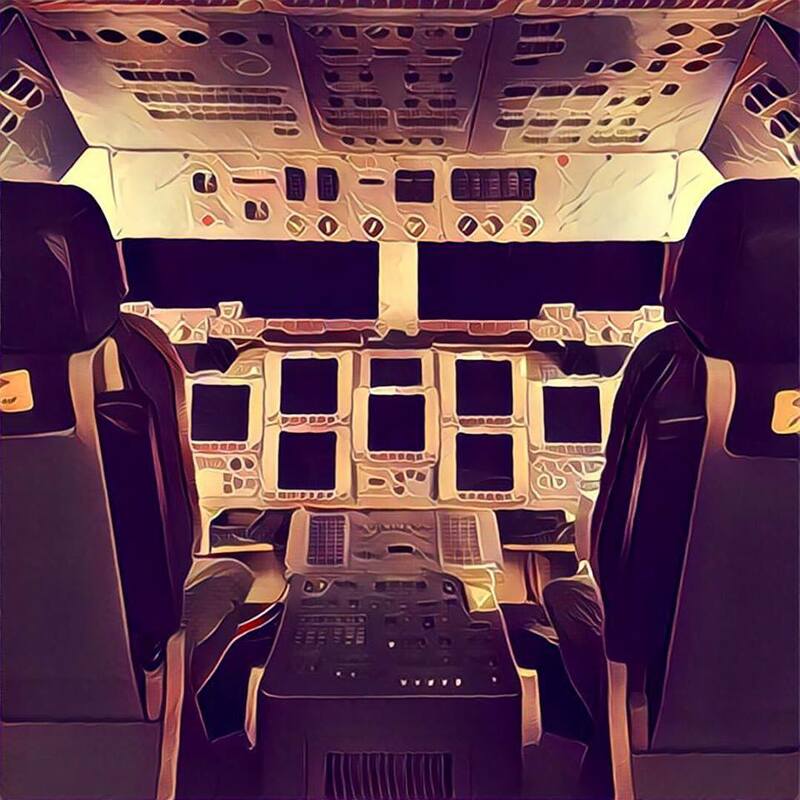 While only a skeleton of an orbiter, the electronics are identical in position and type to those used on the Shuttle; it is a sufficiently faithful replica that crews sometimes prefer to use it to train on, rather than the training simulators (i.e. the image above shows all the buttons, switches and dials where they go – No museum mock-up here). 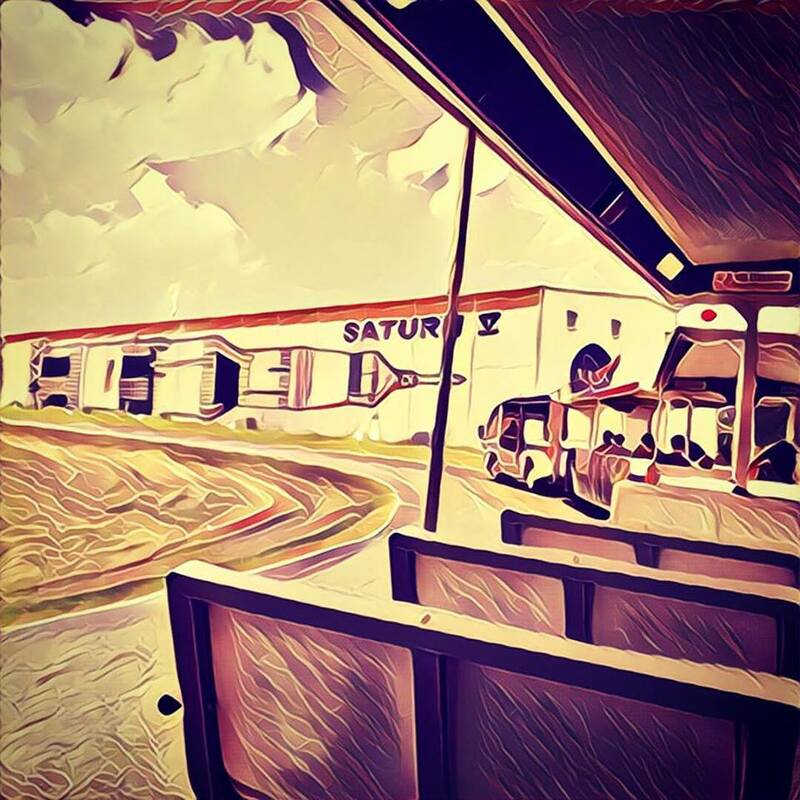 The tram tour also takes guests through Rocket Park, where an actual Saturn V rocket is housed (Components of an actual Saturn V, along with fabricated museum pieces), along with other rockets that propelled humanity into space. This is the only place in the world you will see actual Saturn V components intended to go into space. Good luck guessing which ones they are. This is always my absolute favorite part of the tour, of course. Thanks to the structure of the tour, visitors are allowed to spend as much time here as they would like (during normal operating hours), and there is a lot to see. I spent the better part of an hour visually pouring over every detail I could see. FYI: The Saturn V rocket is 360Ft tall (or long, in this case), which is relatively the length of a football, if you include both end zones. That’s a lot of rocket to drink in. A kindred spirit, this guy gazed at the top of the S-IVB (Spoken “S4B”) stage like she was a long lost lover. That giant tank was the last stage that rocketed the Command/Service Module (CSM) and Lunar Module (LM) toward the moon. The LM would actually sit just above this tank in the LM Adapter. The bottom of the S-IVB is home to a single J-2 rocket. I really enjoyed the complex artistry that is exposed on this display. The wires, tanks and panels make this one of the more interesting parts of the exhibit. These tourists probably had no idea that he rocket engine above them was the very first of it’s kind strong enough to send humans out of Earths gravitational influence. The bottom of the S-2 booster contains five J-2 engines. 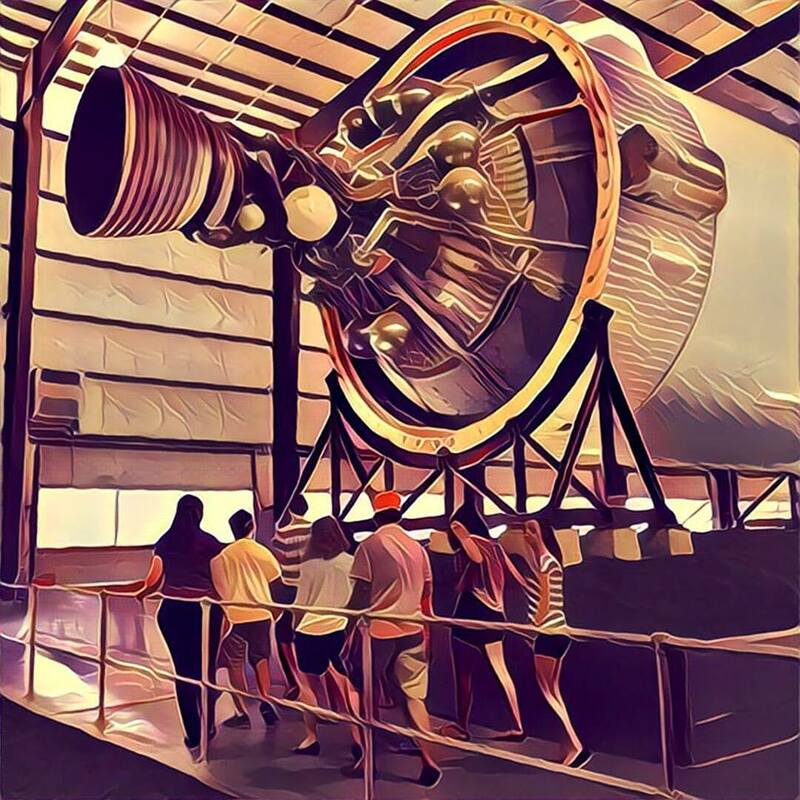 This powerful section of the Saturn V can be witnessed in the film Apollo 13 during launch when all three Astronauts are slammed back into their seats when these five fire to continue their journey into Earth orbit. These two guys were discussing something about the power of these five F-1 thrusters. Each seven times more powerful than the J-2 engines seen above. This. Is. Rocket. Science. On another (related) note: Those tires holding the S-1 booster’s bottom half are each 6-feet high. Well, I hope you’ve enjoyed this tour of filtered photos as much as I enjoyed taking them. 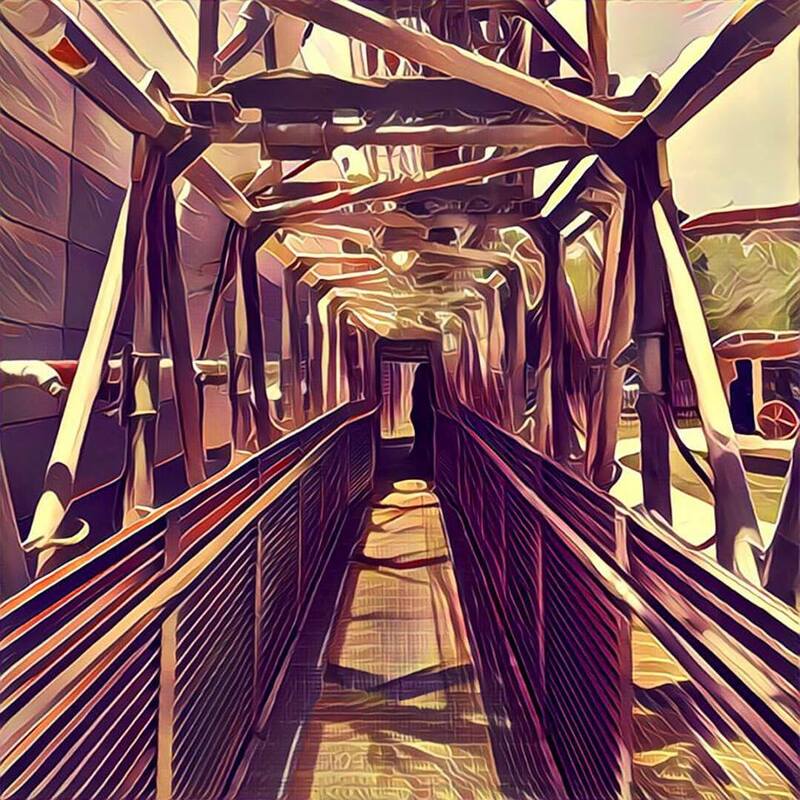 Be sure to check out the Prisma app and let me know what you think of it. 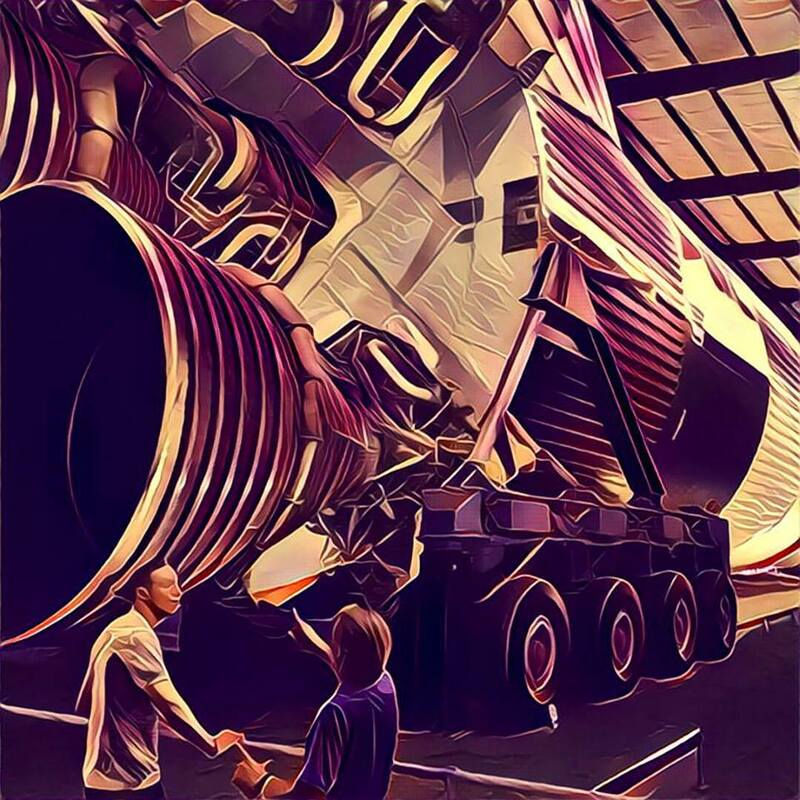 Also, give the Space Center Houston a visit. I used a coupon from the hotel lobby (You know, the brochure rack?) and my entry was only $20. I could have EASILY stayed there for 5-6 hours and been entertained by all the things they have to offer. I will certainly be planning many more trips back in the future.